VMware vExpert 2015 recipients have been named, and I'm relieved to see I've made the list again this year! 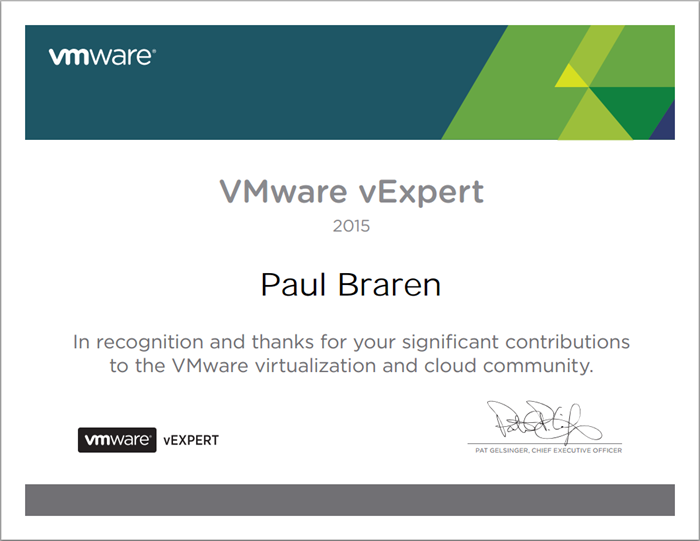 See also my original post, Freshly minted VMware vExpert, April 10 2014.
joining the 721 other vExperts out there. Time for a new business card! Welcome to the 2015 vExpert program and thank you for your contributions! Here's a 700 pixel wide version of my new wall decoration.